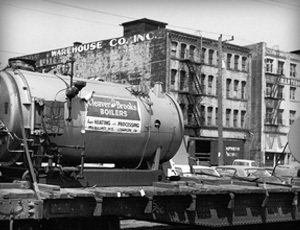 When Carl Cole founded Cole Industrial, Inc. in 1964, he established what would eventually become the dominant resource in the Pacific Northwest for new and used boilers and boiler room equipment, rentals, parts, service, support, and training. Cole Industrial has been the exclusive manufacturers representative for the industry leader, Cleaver-Brooks, since its inception. 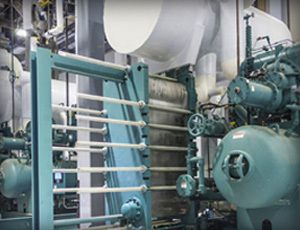 Today, Cole Industrial specializes in process and comfort heating equipment through our representation of world-class manufacturers of boilers, burners, heat exchangers and other boiler room equipment for nearly every application and industry. Cole remains a family-run company committed to its founding mission of providing best-in-class equipment and the highest caliber of service and support. Cole Industrial serves a broad range of customers in a four-state region that includes Washington, Oregon, Idaho and Alaska. We help companies increase boiler room efficiency, save energy, reduce downtime, and meet emissions and safety standards. From installation and training, to maintenance and repairs, to testing and compliance, we are dedicated to providing one-stop, integrated boiler room solutions. It speaks to our exceptional level of service that many of our customers have been with us since we opened our doors. When you work in the boiler industry for as long as we have, you tend to become experts. Cole Industrial’s experienced and responsive staff includes New Products Sales Engineers, Equipment and Parts pros, Administrators, Boilermakers, and the most technically qualified Service Technicians in the business. Together, we provide outstanding sales, service and support to our wide customer base via a network of six offices throughout the region. We recognize that boiler rooms are at the heart of every organization—whether it is a school, hospital, food processor or manufacturer. It is one of those systems that are invisible when everything is working, and a big problem when something goes wrong. 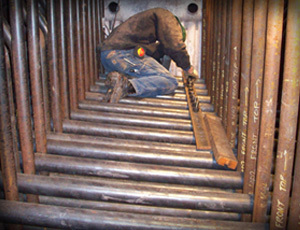 We work hard to help you minimize downtime and maximize your boiler room investment.